At 31 acres — 3,000 feet of water frontage — and owned by the same family for over 200 years, the Jordan Homestead is more than just another field and forest in Ellsworth. It’s part of a vanishing legacy. 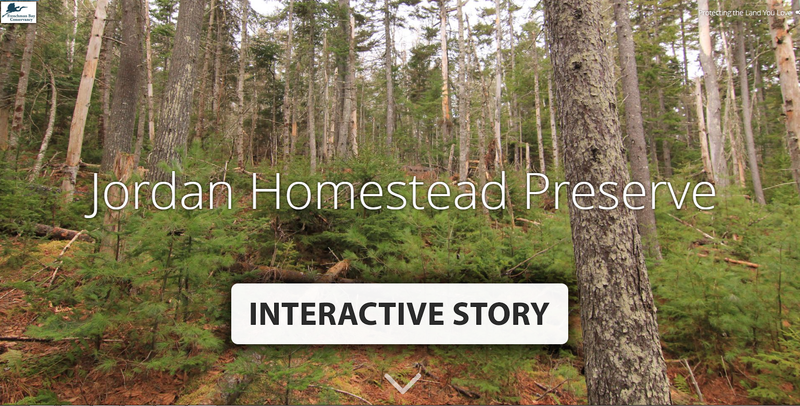 Click the image below for interactive maps, photos, and the story of the Jordan Homestead. Click above for the story of Jordan Homestead: Conserving a vanishing legacy in Ellsworth (opens in a new window). The Jordan Homestead is one of the only places in Ellsworth to connect with a nearly forgotten history. See the original cellar hole from early pioneers. Walk through a centuries-old graveyard. Harvest vegetables from a plot that’s been farmed for longer than Maine has been a state. Near the heart of Maine’s fastest growing city, no forest, no field, and no tradition is safe from expanding development. Especially because the Jordan Homestead is one of Ellsworth’s few remaining intact parcels with significant river frontage. ﻿ Whittaker Brook flows on one side of the Jordan property and into the Union River. Watch the video above in HD to see the brook’s beauty. Make a legacy come alive. With your donation, we can revive the legacy of the Jordan Homestead. We’ll partner to re-establish a legacy garden, plant heritage apple trees, and press cider. Stewards will maintain a serene walking trail to the Union River. Schools can learn about Ellsworth’s shipbuilding, fishing, and timber harvesting histories. You can move, zoom, and click on features in the map below. A place for people and nature. 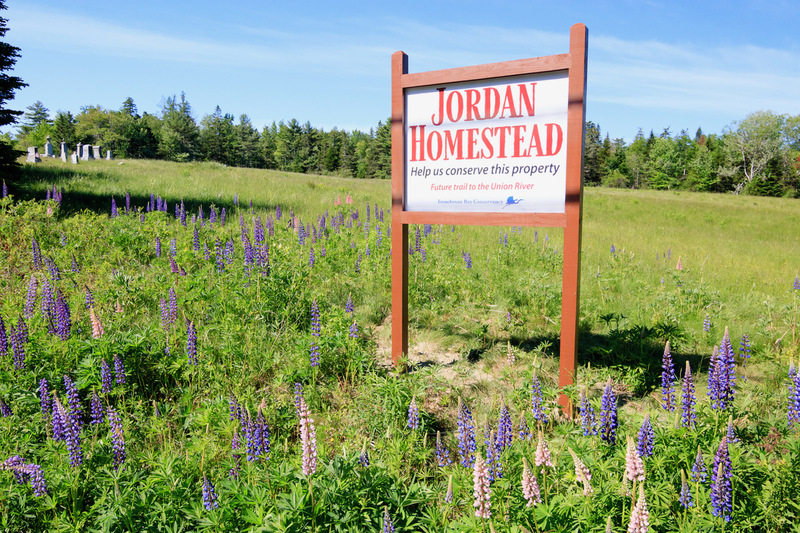 In addition to the rich cultural resources of the Jordan Homestead, your donation will protect the property’s abundant natural resources. Habitat for grouse, bluebirds, deer, mink, and other wildlife. Valuable green space near the city. Clean water and fish runs that benefit from the natural buffer around Whittaker Brook and the Union River. Your donation can prevent development of the historic Jordan property, forever. 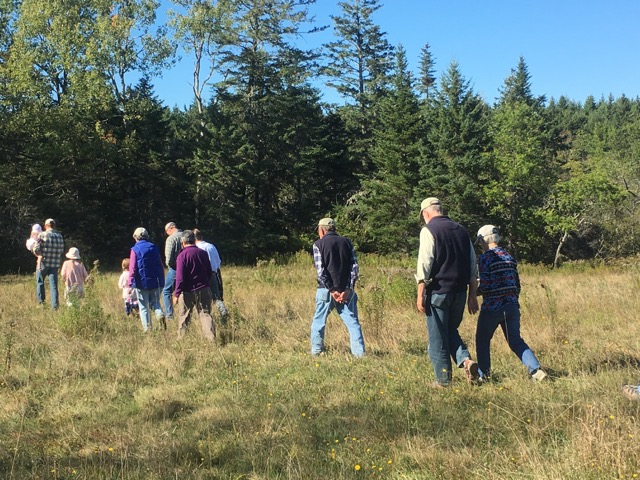 Your donation will help Frenchman Bay Conservancy conserve this property so that future generations can enjoy Ellsworth’s rural character, access to the Union River, and opportunities to practice Maine traditions that go back for hundreds of years. Walking in the field of the Jordan Homestead Property. Make your tax-deductible contribution to conserve the Jordan Homestead property before it’s too late.